Nicholas Ray lived through the Depression, which isn’t the reason he wore an eye-patch later in life, but it was the reason he was asked to adapt the novel Thieves Like Us by Edward Anderson. Ray found the project to be a very personal one and although RKO producer John Houseman had minor issues with his script, the final result is pretty much what Ray was aiming for. 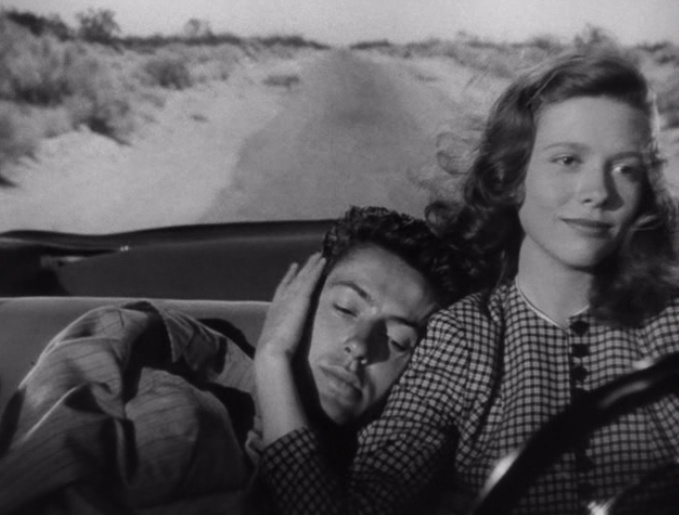 They Live by Night is a blazing debut, nurtured by Houseman, who allowed Ray the creative freedom to experiment. There’s a fairy tale feel to the film that subverts the social realism, as the star-crossed lovers attempt to find happiness in an insensitive world populated with ogres with names like Chicamaw and T-Dub.